Abstract: Constance Pierce’s “Will You Be There,” are a series of art works originally displayed in the international exhibition “Art on Paper 2010” at the Museum of Art in Aichi, Japan. This series has since been featured in three solo exhibitions: the Harlan Gallery of Seton Hill University of Pennsylvania, the Clara Fritzsche Gallery of Notre Dame College in Ohio, and the Front Gallery of the Quick Center for the Arts at St. Bonaventure. Constance Pierce is a visual artist especially interested in the import of Jackson’s global influence in the area of visual culture. She has exhibited regionally, nationally, and in Europe and Japan. She is Associate Professor of Fine Art at St. Bonaventure University (NY). Her notable works include, ‘The Dance: Epiphany and Loss (Watercolor Series)’, ‘Will You Be There (Drawing Series)‘ and ‘RUACH HAKODESH: The Epiphanic and Cosmic Nature of Imagination in the Art of Michael Jackson‘. Pierce, Constance. 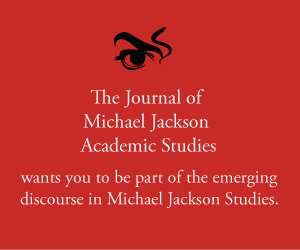 “Drawing Series: Will You Be There.” The Journal of Michael Jackson Academic Studies. Published electronically 22/7/14. http://michaeljacksonstudies.org/constance-pierce-will-you-be-there/. Original series exhibited in ART ON PAPER 2010, Museum of Art, Toyota City, Aichi, Japan, 2009. Published originally by the artist via Academia.edu. N.B. This piece has been included as a JPEG images and a YouTube video in order to maintain the integrity of the artist’s original vision. A PDF of this entry along with more detail can be found via Constance Pierce’s official Academia.edu page here. Read about the journey of the ‘Will You Be There?’ Collection here.